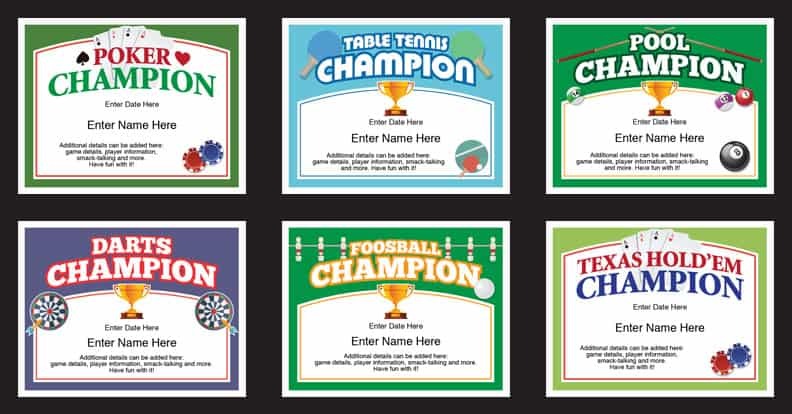 Basement Games Certificates Templates – For some reason, the competitor in all of us jumps out when we’re playing basement games of skill like darts, pool and table tennis. Now, you have an opportunity to award the winner a great certificate. You can recognize achievement and have an award to play for. When you’re crowning your family or neighborhood champion, do it with style with one of these personalized certificates. Nice! Use these same templates tournament after tournament, year after year. It’s a great value, and the winners will love having the keepsake. They’ll add a sense of importance and make a small get-together seem a little more impressive. With purchase, you’ll receive a link that will enable you to instantly download the PDF file featuring these 6 basement games certificates. PDFs work on Macs and PCs. Just make sure you have the latest version of Adobe Reader (which is available for free). If you’re on a Mac, open Adobe Reader first and then go to the certificate bundle (otherwise, the default reader is preview). Type in name, date, and other details into the text fields. Personalize, print and present! It’s a low cost way to recognize winners and participants in your competition. Learn more about our favorite basement game table tennis at Team USA Table Tennis. Why Award Basement Games Certificates? Having fun, personalized certificates will elevate your family or neighborhood event and make it a little more fun. It will bring out the best in everyone’s game when you’re playing for something more. The certificates provide a trophy of sorts, as well as a lasting keepsake. Cool! 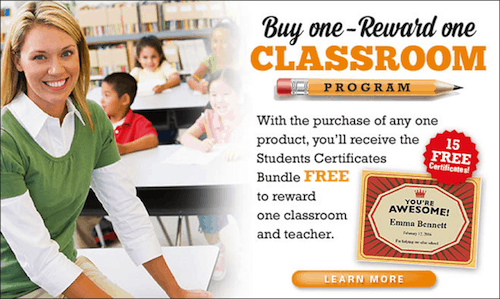 Purchase the Basement Games Certificates Templates, and receive the Classroom Bundle FREE!